CUTE OVERLOAD to start your weekend! C. Baron loves its weddings – we have one this weekend – but sometimes, we’re lucky enough to photograph other things, like Family portraits, Senior pictures, Newborn and Maternity – even the beloved family dog! 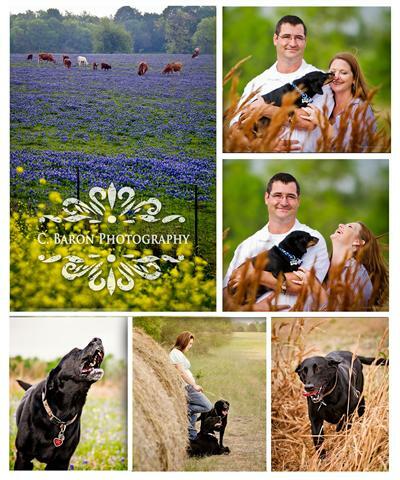 We had a great time photographing these puppies up in Washington county, outside of Brenham and Chappell Hill. We were looking for bluebonnets – however. the pickings were slim this year. Still had a great time and the dogs certainly didn’t care! We’ll be back next week with more weddings and e-sessions – oh so many gorgeous images to share!